We at WIFE.org are on a mission to change the way women deal with money. You are about to learn a concept so simple, yet powerful, that it will change your financial life forever. Through the Money Club, you will find the information and support you need to set your own financial course. It’s free and non-fattening, and if you participate to your fullest, you will succeed and prosper. Money affects every choice we make, every part of our daily lives. From the neighborhood where we raise our children to the way we spend our time and energy in our later years, money is intertwined with our relationships, our dreams, our reality. As women today, we’ve got to get smart about money, and now is the time to do it. Our goal is huge: to have a million women actively involved in Money Clubs across the country. That’s what it will take to make a significant difference in the fabric of women’s lives and the lives of their children and families. As your Money Guides, we are here to help you. You’ll see from our stories that we aren’t so different from most women. I have my own business, managing money for high net worth individuals. Over the past twenty years, most of my clients have been women who have gone through a transition, such as the heartrending death of a husband or an unfortunate divorce. I am invited frequently to lecture to women around the country on personal financial issues. I also write a monthly financial column for women in Décor and Style magazine. Over the last eight years, millions of people have watched my Bottom Line reports on KDCI/CNN Headline News. Although I manage millions of dollars for clients and have gained widespread recognition, my background probably is like many women. I grew up in the Midwest, the middle daughter of three girls. My father was a cabinet maker and my mother was a homemaker. I didn’t realize at the time how fortunate I was that my family openly discussed money (and often even shouted about it!). I now recognize that I had a tremendous advantage. While many women are uncomfortable around money because they have been sheltered from money matters, I gained the confidence early on that I could be financially capable. Today I have been happily married to my husband John for almost 25 years. Some people think that’s amazing, when they find out that we’ve worked together for over 20 of those years! We strive to teach our teenage daughter Carrie that she can accomplish whatever she sets her mind to do. Find out more about Candace Bahr. I moved to San Diego in 1987 after selling my business, the second largest CPA firm in Las Cruces, New Mexico. Today, as a financial planner, much of my professional life is devoted to helping women through tough times in their financial lives. Candace was one of the first people I met in San Diego. We immediately recognized that we had the same passion to help women. Together we started the Women’s Institute for Financial Education (WIFE.org) in 1988. 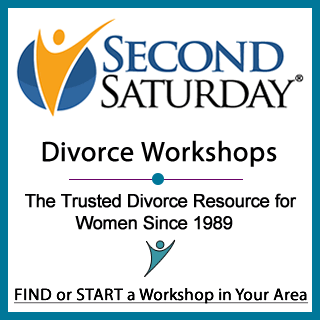 One of WIFE’s cornerstone programs is Second Saturday, a monthly program that has helped thousands of women going through divorce to learn to manage their financial lives. I have written seven self-help personal finance books and I lecture frequently to professional groups around the country. From a very early age, I recognized my career path. I grew up on a dairy farm in New Mexico, the only child of two very strong, independent parents. My father was a Ph.D. and former college professor who decided to follow his dream of becoming a farmer around the time I was born. My mother was a novelist and an early feminist in the fifties and sixties who fought hard for women’s rights. It was my Dad who taught me about money from an early age. I still remember him teaching me to read the business pages as a child. When I became a teenager, I even started a business of my own — raising chickens and selling the eggs through local grocery stores. Now, in my professional life, I’ve gone from selling eggs to helping people create their own nest eggs! Find out more about Ginita Wall.